Nice flight around Behana Gorge, was a stunning day and the water was so nice. Amazing place. Thank you rotorpix for sharing this awesome video. If you’d like to learn the skills needs to capture video like rotorpix, then checkout Drone Universities’ Advanced Drone Aerial Photography/Videography course. Fun fact: You can now qualify for Educational Grants if you register for Introduction to Drones along with Advanced Drone Aerial Photography/Videography. Take a hike into the famous Cairns pyramid mountain to Behana Gorge: Cairns water supply that flows heavily 365 days per year with no intermission. 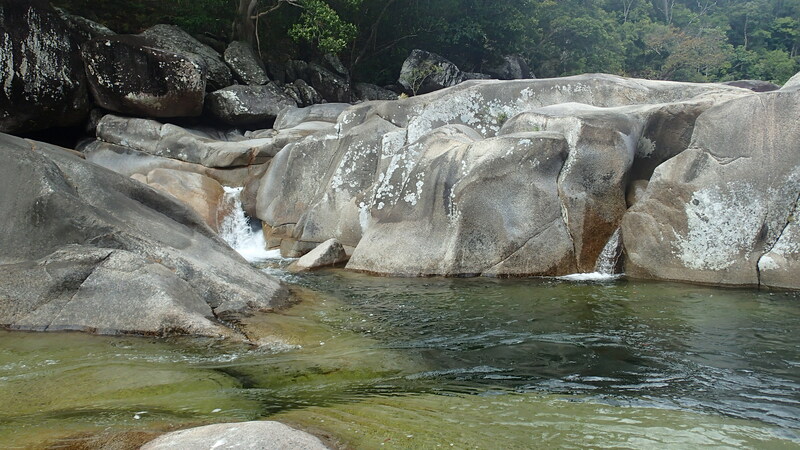 Behana Gorge is what locals call “The Cairns Hike in Paradise” and is that perfect vision of scenery that you are looking for on your holiday to Cairns Australia. The Cairns Region is a local government area in Far North Queensland, Queensland, Australia, centred on the regional centre of Cairns. It was established in 2008 by the amalgamation of the City of Cairns and the Shire of Douglas. However, following public protest and a referendum in 2013, on 1 January 2014, the Shire of Douglas was separated from the Cairns Region and re-established as a local government authority.